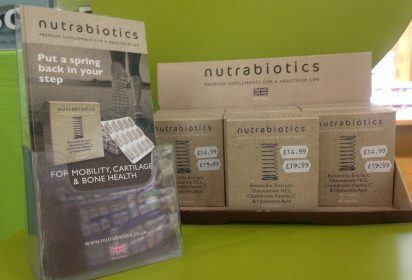 We take pride in stocking a large range of good quality supplements and natural remedies sourced from ethical, reputable suppliers all at competitive prices. We have monthly offers on a variety of products, you can see the latest offers below. 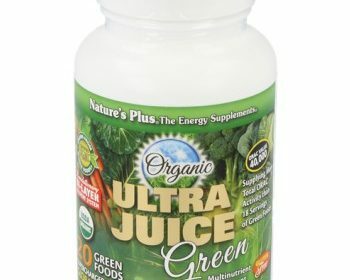 GO GREEN to super-charge your health! More ANTIOXIDANT power than 18 servings of fruits and vegetables…in just 2 tablets! Put a spring back in your step with Nutrabiotics capsules for mobility, cartilage and bone health. Omega 7 Sea Buckthorn Oil Capsules 90 for the price of 60! Pharma Nord’s fantastic offer is back whilst stocks last! 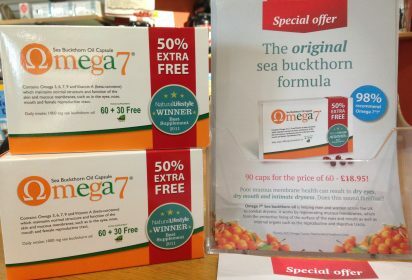 Omega 7 Sea Buckthorn Oil Capsules are 50% Extra Free, that’s 60 capsules + an extra 30 absolutely FREE! This supplement contains Omega 3,6,7,9 and Vitamin A (beta-carotene) which maintains normal structure and function of the skin and mucous membranes, such as in the eyes, nose, mouth and female reproductive tract. A popular choice for anyone who suffers from conditions like dry eyes, dry mouth and intimate dryness. 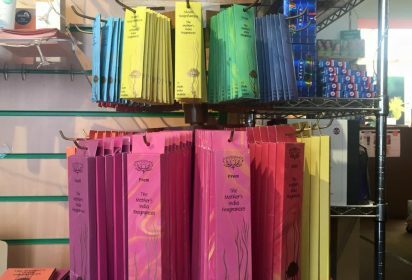 Brand new hand rolled incense sticks in store. Can’t decide which is your favourite scent? 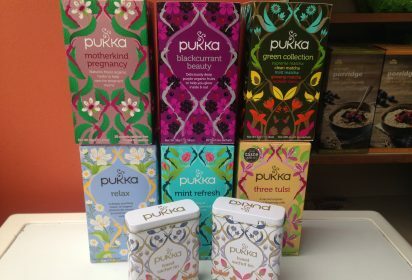 We have sample packs to try for just £1.00. We are loving the smell of the shop since their arrival! 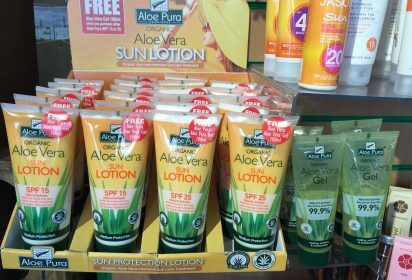 FREE Aloe Vera Gel 100ml when you purchase either Aloe Pura SPF 15 or 25. A perfect Summer skin combination…now all we need is the sunshine!